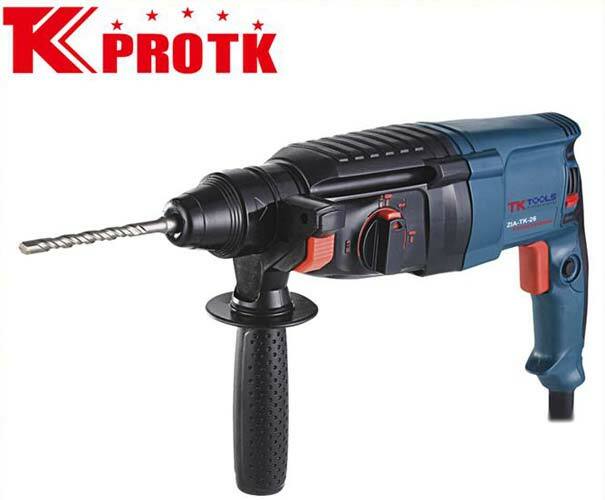 We are one of the best manufacturers, suppliers and exporters of Rotary Hammer (Z1A-TK-2601 SRE) from Yongkang, China. This model of rotary hammer is has certifications from RoHs, CE and GS. The maximum hole opening is 26mm and the impact times is 0-4000r/min. Moreover, it has a rated input power of 800W and the no load speed is 0-900 r/min. We offer the hammer at the market leading prices in the safest packaging options.